Carl Giffney is a graduate of NCAD and IADT Ireland. He is a founding member, and director, of The Good Hatchery, Offaly. This site archives recent contemporary art projects by Carl Giffney. [Left to right] Top row:  I really don't feel them, Sámi feet bronze boots, Artic Finland, 2016. Near Croke Park, Dublin, Ireland, 2018. I really don't feel them, premiere at Kevin Kavanagh Gallery, Dublin, Ireland, 2016. PEINT, research activity (coal mining), Leitrim Sculpture Centre, 2013. Bravo Serotonin, travel project, The Good Hatchery, 2015. Ubermensch A, performance, Ard Bia Berlin, 2009. Glasimile (seahorses tired of living in the real world), video still, SOMA, 2010. Sisyphus Americana, photograph in bar, Paul Artspace, 2013. 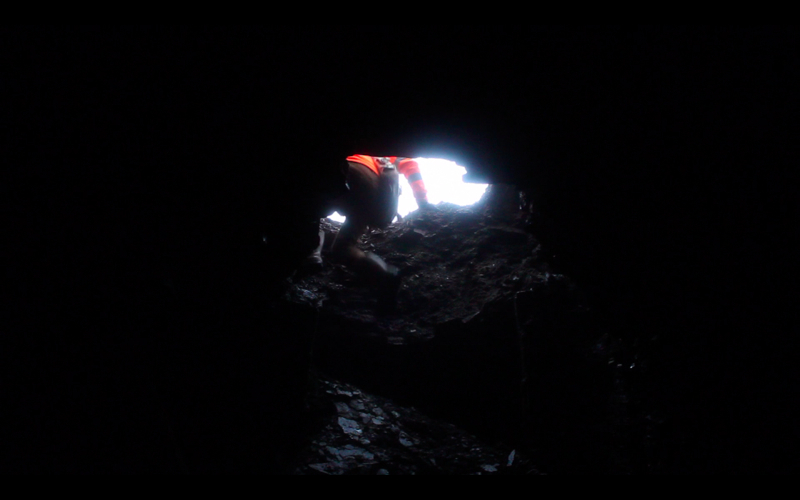 PEINT, video still (coal mining), Leitrim Sculpture Centre, 2013. 407.C, active vehicle, Cork / Dublin, 2011. IRDFT, video still, Scottish Sculpture Workshop, 2016. Lucite Fall, Ancient Celt (jacket), Galway Arts Centre, 2014. Bottom row:  BGAA, stadium / school, GOMA, Waterford, 2018. Sisyphus Americana, video still (quartz crystal), Paul Artspace, 2013. Lucite Fall, Pendulum / Palanquin, Galway Arts Centre, 2014. Lúcras, preparatory woodwork, Monster Truck Gallery / The Good Hatchery, 2012. Partij voor Ierland, install shot (Charles Haughey), Roodkapje Rotterdam, 2012. Glasimile, performance (gallery windows), SOMA, 2010. Lodestar, install shot (light), Mermaid Arts Centre, 2011. History from the Future 3, drive along audio tour, Limerick City. Sheebeen Apocalypto, social construction, Arigna, 2008. Missionary 52, -7 (The Good Hatchery), outdoor installation, Commonage Callan, 2010. Breithlá Shona Duit, email correspondents, Limerick City Gallery, 2009. IRDFT, video still (referendum results), Frontiers In Retreat, 2016. Top row / mouse over:  Lucite Fall, conveyor view, Galway Arts Centre, 2014. Sitting (research image), Dublin 1, 2018. An tSeirbia, performative interview (sunset), The European Centre for Culture and Debate (KC GRAD), 2017. Breithlá Shona Duit, performance, Limerick City Gallery, 2009. IRDFT, video still (subtitle), Kevin Kavanagh Gallery, 2016. C C R (cargo cult racer), evidence, Temple Bar Gallery and Studios, 2011. Breithlá Shona Duit, Altar removal, Limerick City Gallery, 2009. Iridescence A, installation (The Good Hatchery), Monster Truck Gallery, 2009. Rock, photograph / site visit, Dublin, 2013. Breithlá Shona Duit, installing (lifting), Limerick City Gallery, 2009. Supreme Court / Imperial Measurements, installing (augering), Dublin, 2009. IRDFT, video still (airplane arrival), Frontiers In Retreat, 2016. Bottom row / mouse over:  WATERPORTFJORD, video still, Waterford, 2018. PEINT, install shot, Leitrim Sculpture Centre, 2013. IRDFT, Cinema Premiere, screening image (Arctic), Saamelaiskulttuurikeskus / Sámi Culture Centre, 2016. Brodarjev Trg, performance (as building), Ljubljana, 2007. Tríú, cold screening (in bronze foundry), Scottish Sculpture Workshop, 2014. Bravo Serotonin, day 5 / tree hollowing, The Good Hatchery, 2015. Lodestar, video still (aboard The Granuaile), Mermaid Arts Centre, 2011. History from the Future 3, drive along audio tour, Limerick City. The Solution, water testing at Holy Well (research image), IMOCA, 2009.  iGod and the meaning of life, install shot, National College of Art and Design (NCAD), 2007. 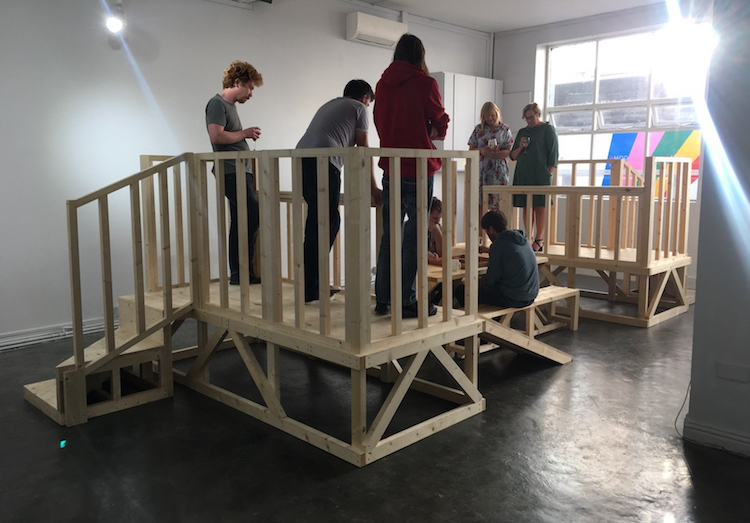 R R B, palanquin, 126 Gallery, 2012. Concrete, photograph / garden, Offaly, 2010.